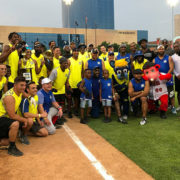 INDIANAPOLIS – Myles Turner returned for his third year with the annual Caroline Symmes Memorial Celebrity Softball Challenge, this time as a captain. Myles contributed to Team Turner’s victory in a big way, leading off the game with a home run. 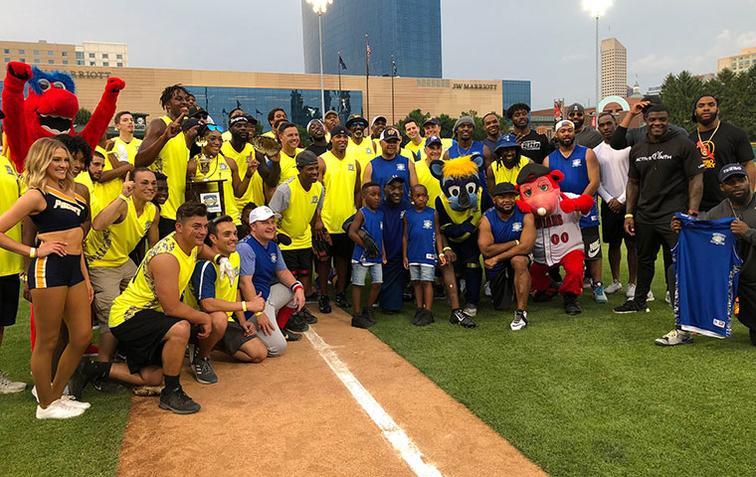 Turner played alongside teammates Trevor Booker, Lance Stephenson, and Edmond Sumner in the competition between the Indianapolis Colts. Enduring its tenth anniversary this year, the Caroline Symmes Memorial event benefits the Indiana Children’s Wish Fund, and organization that grants wishes to children in Indiana with life-threatening illnesses. It was a fun opportunity as Team Turner built up a good lead at the end including Myles hitting a homerun to seal the deal!